Successfully Added LED Disco Light - RGB, 9 LED, Bluetooth Music Play, TF Card Slot, 18w, 120-Degree Light Angle, Different Lighting Modes to your Shopping Cart. Spice up your upcoming house parties with the amazing LED Magic Ball Light. 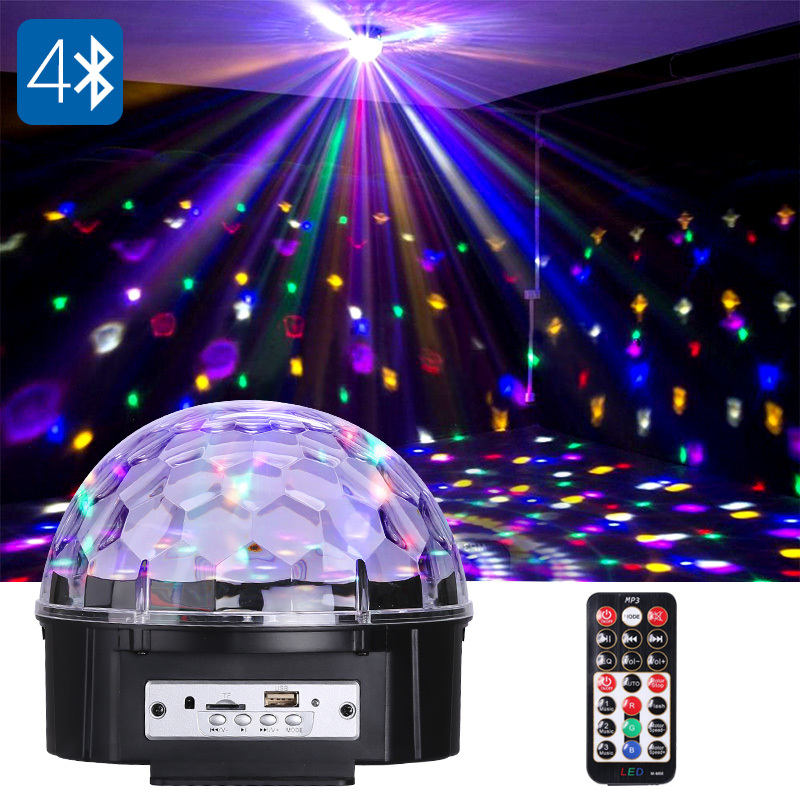 This RGB disco light comes with 9 colorful LEDs that treat you to a wide array of colors to enjoy throughout the night. The disco ball light itself features a compact and lightweight design, making it easy to attach anywhere in your household. Whether you use it at home, a bar, or disco, the LED Magic Ball Light is sure to bring along hours worth of joy to come. The light itself covers a 120-degree area, thus guaranteeing that not a single corner of your room stays clear of its colorful light effects. With its two 18650 batteries, this LED disco light brings along 5 hours worth of fun when not connected to an external power source.